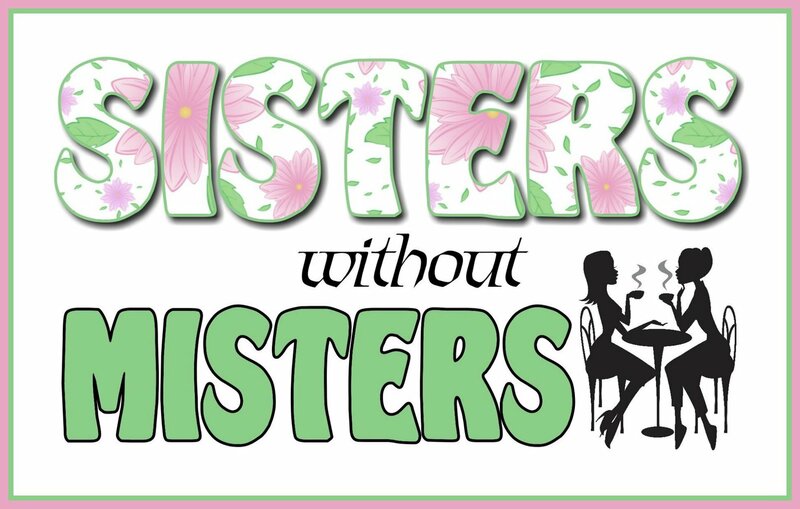 Single gals, we're doing an outreach activity on Saturday, April 20. Bake a couple dozen cookies at home (any kind/flavor - your choice! 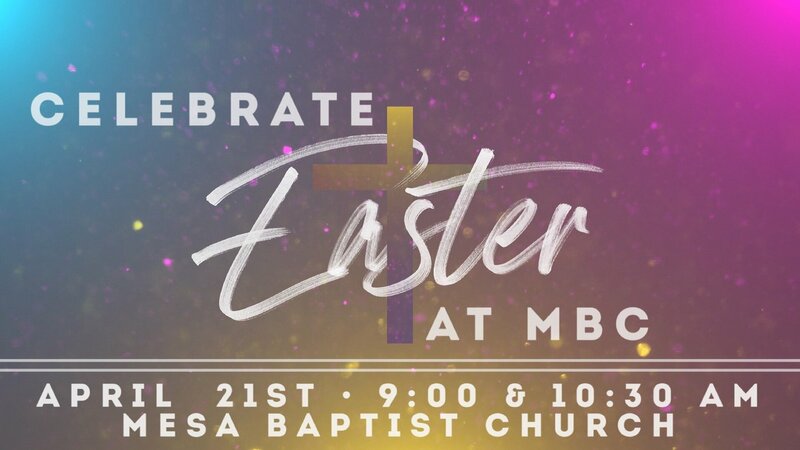 ), then bring them and meet us in the kitchen here at MBC at 11am to assemble cookie boxes to take to Ryan House for Easter. Please RSVP to Debbie here if you'll be joining us! 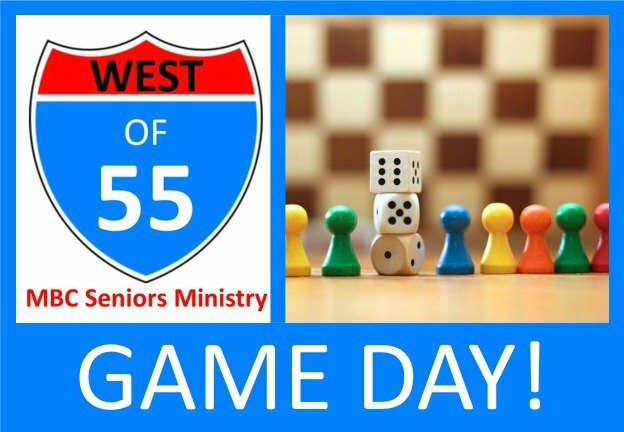 The next game day is Saturday, April 20, at 1pm in the B bldg. As always, bring a friend along with with you as well as a snack to share with the group! 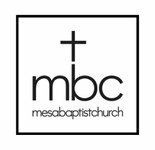 West of 55 welcomes "His Messengers" to MBC again on Sunday, May 5, at 6pm for a concert/hymn sing followed by an ice cream social. Drop your ice cream & favorite toppings in the kitchen when you arrive, then head to the Worship Center for the concert. Vacation Bible School is coming up the week of June 3-7! 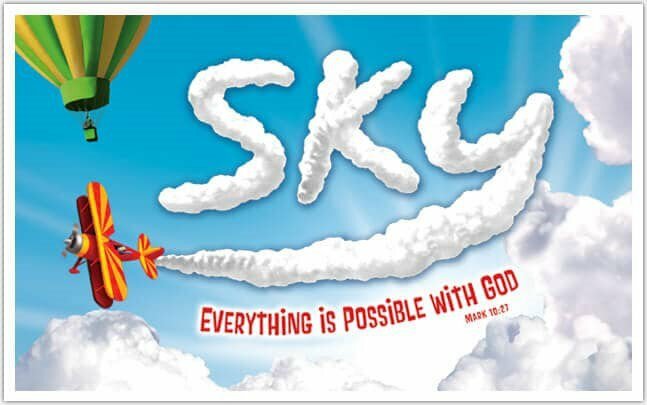 "Sky" is all about learning to trust the Lord and His plan for our lives. 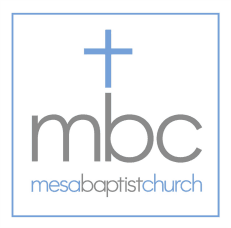 VBS is free and open to kids age 3 thru 5th grade. This year we're doing an evening program - 6:00-8:00pm - and parents are invited/encouraged to stay on campus for a fun class ("A Tale of Two Brains: Male & Female") running at the same time. Dinner will be offered each evening at 5:30 if you want to arrive early and feed your family!